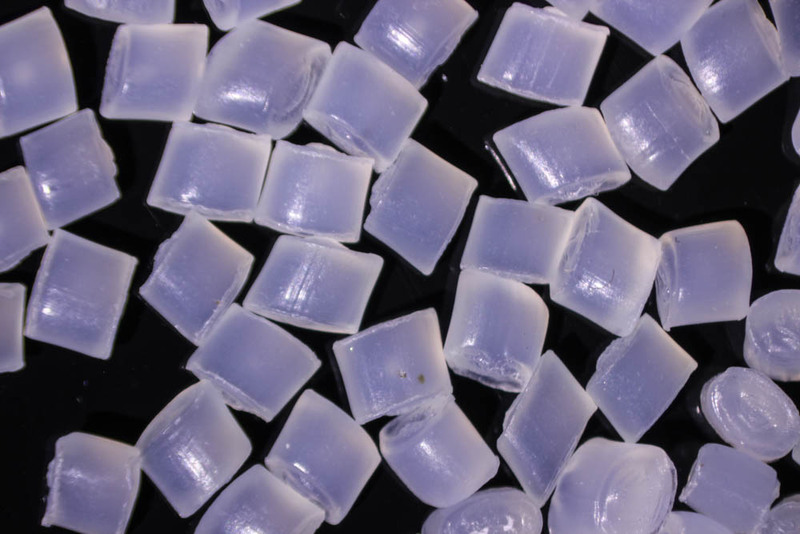 NIGHTSEA was approached by a manufacturer of plastic granules, specifically nylon 6,6. 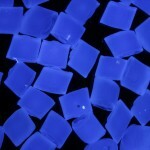 These are small granules, about 2 x 2 x 2.5 mm, that constitute the raw material for injection molding. 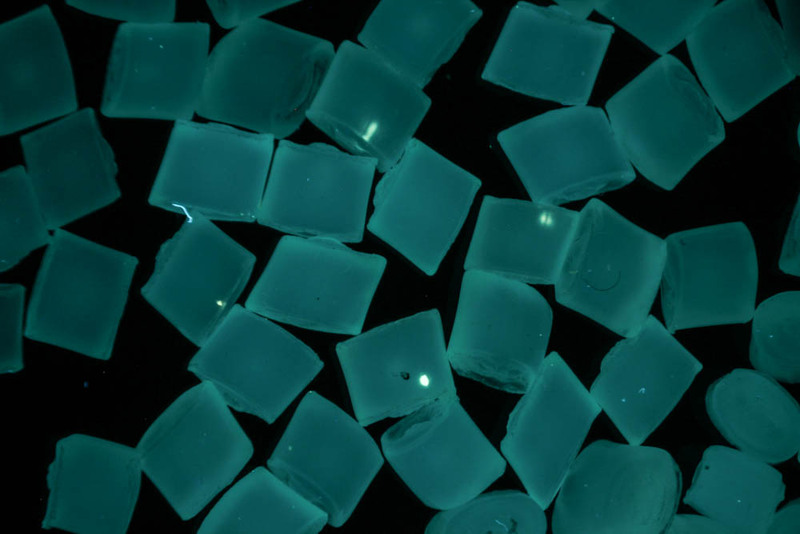 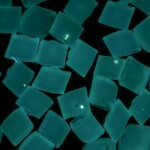 In-process faults in polymerization can result in the formation of a defect called ‘gel’. This may occur in only a small fraction of the particles and even in those particles the gel may make up only a very small fraction of the granule volume. 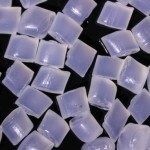 But if there is too much gel in a batch it can result in problems in downstream production. 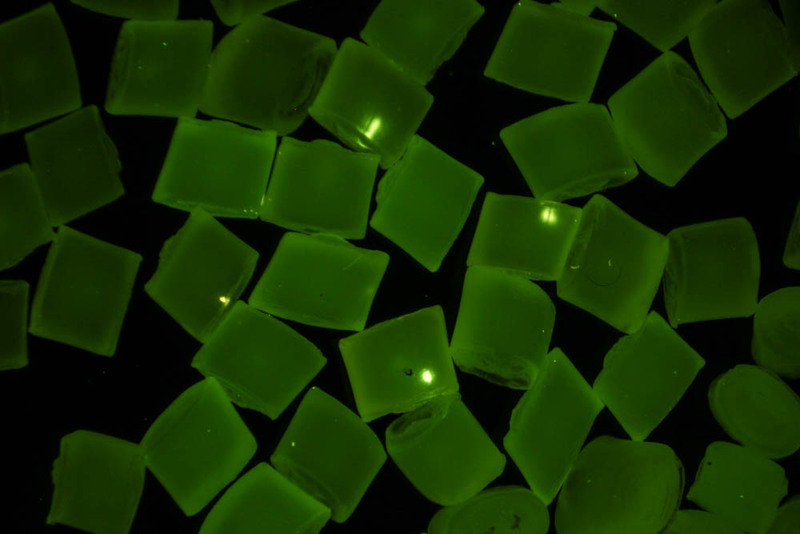 The manufacturer already knew that both the good polymer and the gel fluoresce when illuminated by longwave ultraviolet light, with the gel fluorescing more brightly. 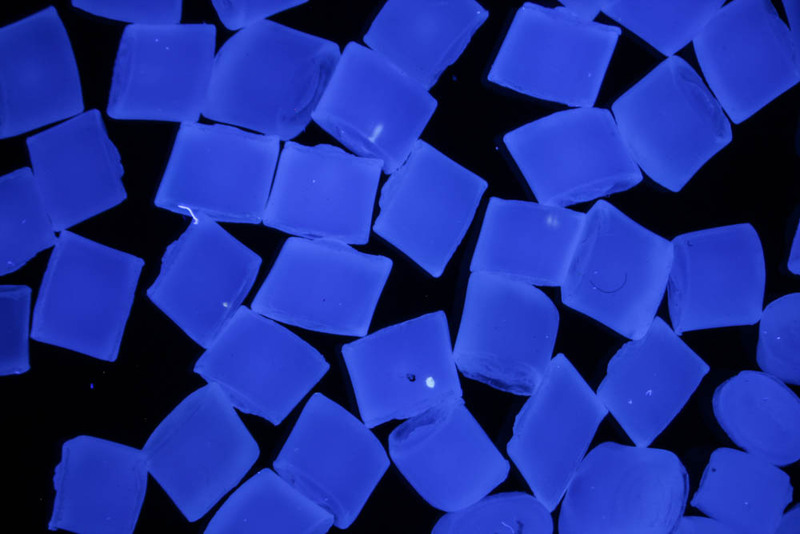 They were using a UV light for inspection but they couldn’t detect the gel well enough to meet their stringent quality standards. 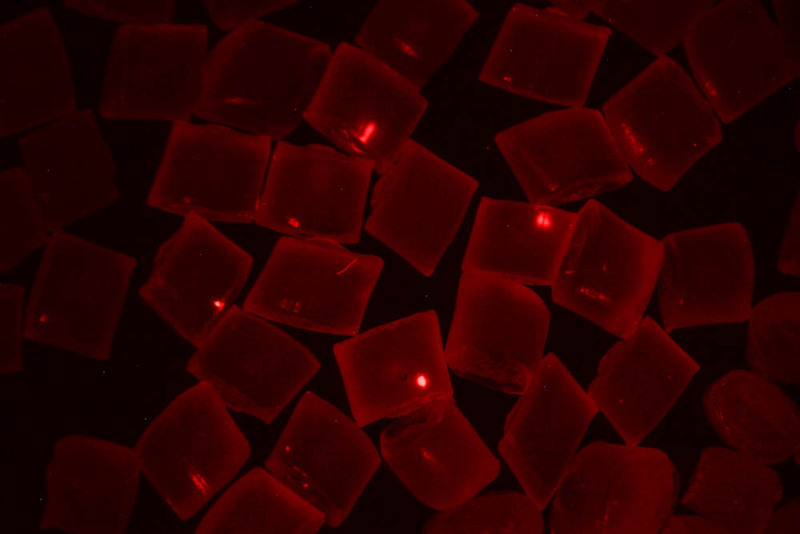 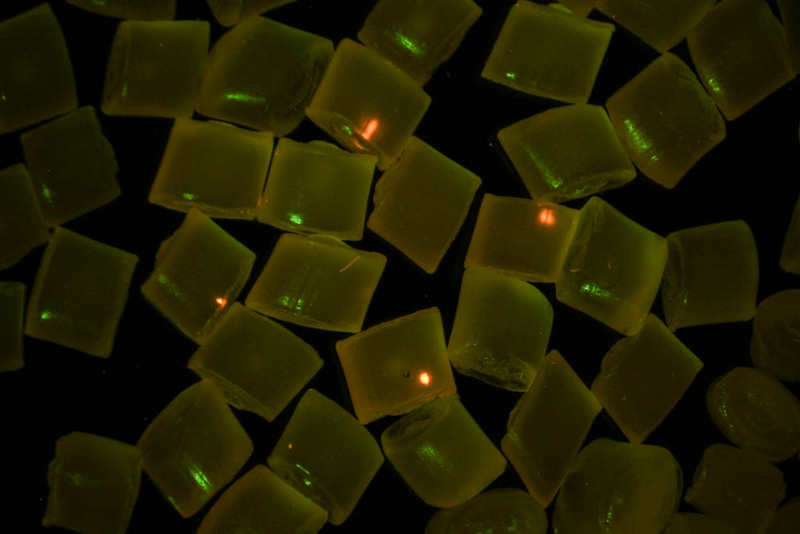 The contrast between the gel and the granule background was just not strong enough for efficient detection. For more information or to get answers to your fluorescence questions contact NIGHTSEA.